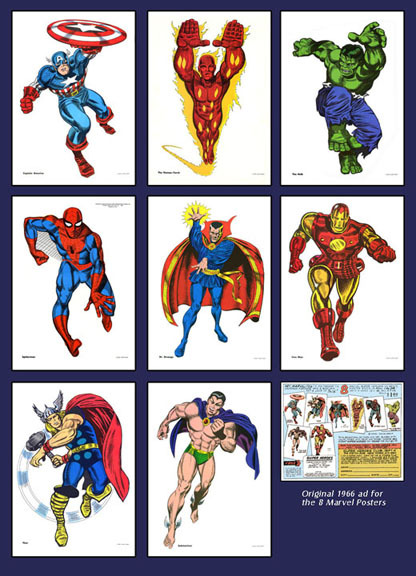 Hey Marvelites - The late 1960's have returned and these mini-Superhero posters are the proof. A full size reproduction 12X17 of the whole set. These posters are printed on acid-free double weight poster stock to endure the test of time.